Having been a Microsoft Windows user for years (until now actually), I didn’t like the idea of having an antivirus as optional for my new MacBook Air. Mac OS is a more secure platform (than MS Windows) today, but that doesn’t mean it is free from security threat. 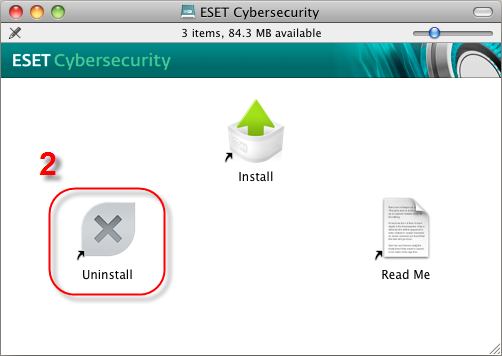 That’s why one of the first applications that I installed to my Mac is an antivirus, and I picked ESET CyberSecurity for Mac for ESET good reputation. Here’s when the problems started, applications hang very frequently, shutting down takes around two minutes (that is way too long for a newly 4 GB DDR3 Memory, Intel i5 MacBook Air with SSD Storage), at first I didn’t realized some issues that I experienced on my Mac was caused by the ESET antivirus, for around two weeks having the issues, I really disappointed with the overall performance of Mac OS Lion on my MacBook Air. However, having read end-user reviews on the new MacBook Air, everywhere I read it was totally different stories, most people are very satisfied with the performance, so then I started to look at another possibilities, one of them is conflict from certain application, especially those came from outside the App Store, my first guess is the ESET antivirus as it has a deep relation with the overall system, googling it a little, I was getting more sure that I was correct, several people have the exact same issues. As a reputable company, I am sure ESET will have it fixed (fyi, it was version 4.0.73 installed on my Mac), but as you may have guessed, I didn’t wish to wait, I wanted it to be uninstalled immediately, but too bad I didn’t know how to uninstalled it at that time, it might sounds silly, but hey.. all this time I am a Microsoft Windows user, so I’m still learning how to get around on Mac OS environment. And now my MacBook Air runs very smoothly, and I think I’ll just leave my it runs without any antivirus for the moment. However, I still do curious on finding the best antivirus for my Mac, do you have any suggestions?